This is the third instalment of Cookery Courses with Cousins, which would actually make an interesting cookery programme! The first two was with my cousin Katherine, Rococo Easter Egg Decorating and Paul. A Young Brownie Masterclass. This time we had our two other cousins Sonia and Georgia to join in the fun too. 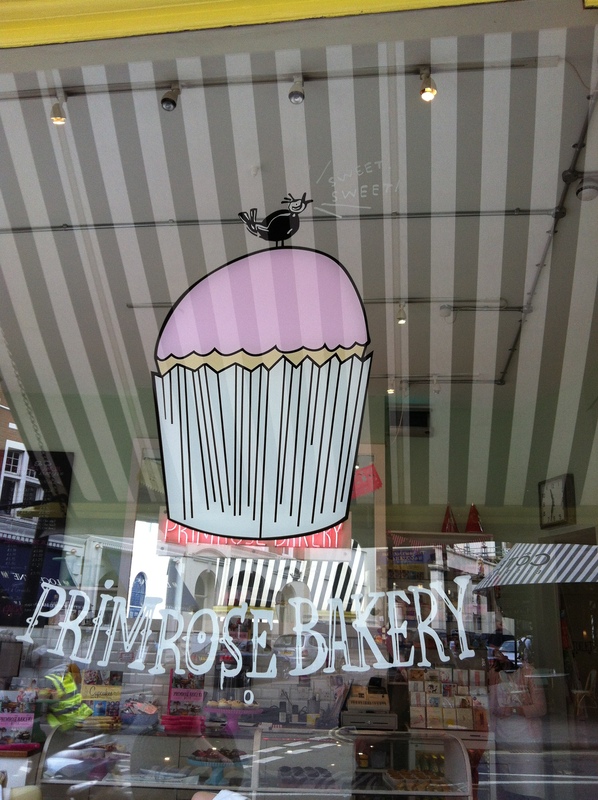 On a sunny Sunday morning, we made our way to Covent Garden, to Primrose Bakery. 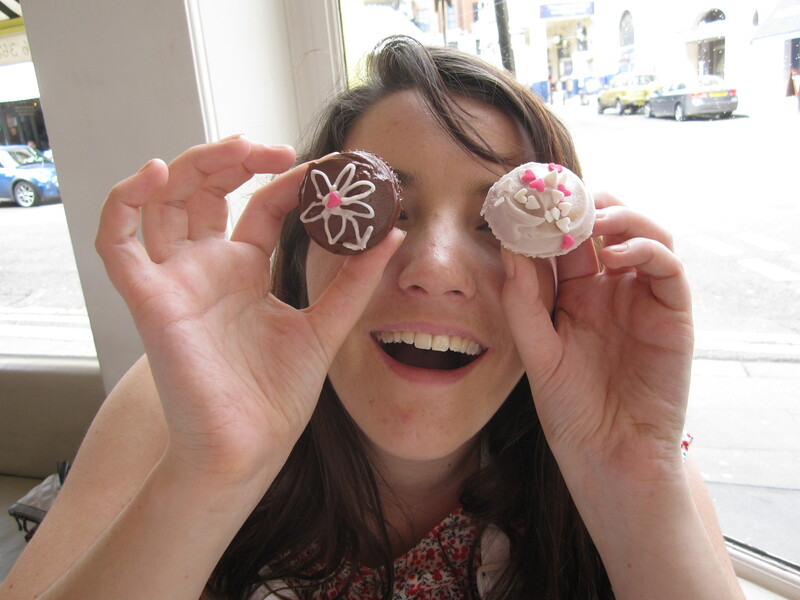 With our noses pressed against the windows, we waited to be let in for our cupcake decorating course. A super cute, little bakery with room 12 overly excited ladies to try not to eat a lot of frosting. 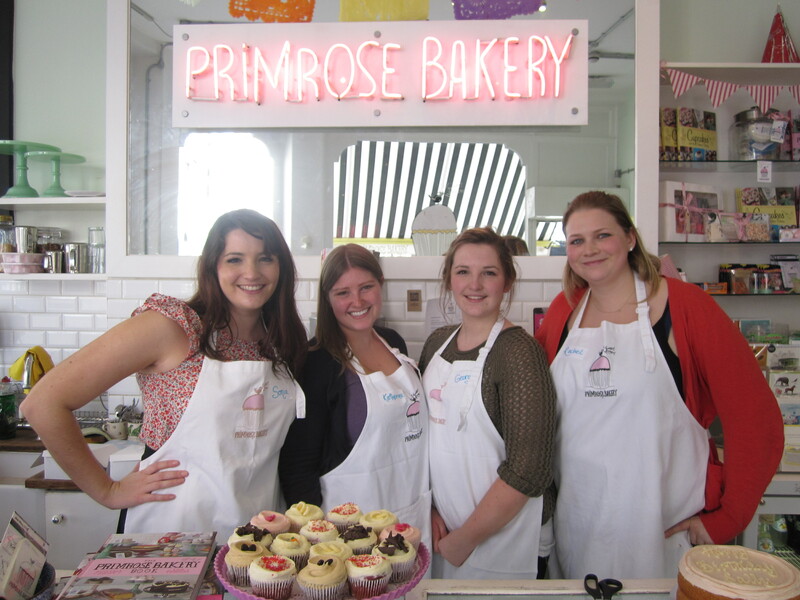 Lisa, was teaching us the great secrets in to how to do the perfect frosting swirl. Below is a perfect swirl, I would love to say that I created that miniature beauty, but that would be a lie. Ok so I bet you can’t guess which one I swirled and which one Lisa did right?!? For some reason I just couldn’t get my head around the hand gesture to work right with the spatula! So I covered mine with lots of sprinkles…. 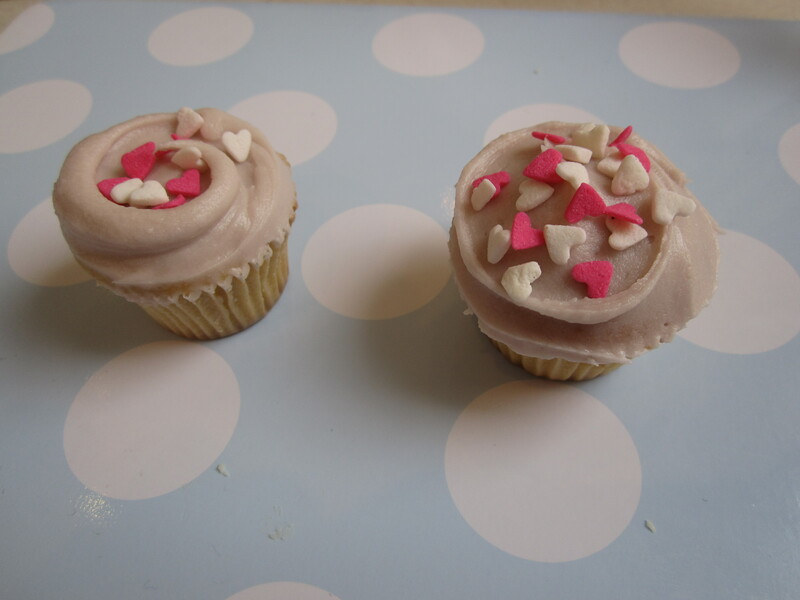 We tried the swirl on a mini and standard size cupcakes, after a demo to make cloud light butter cream frosting. 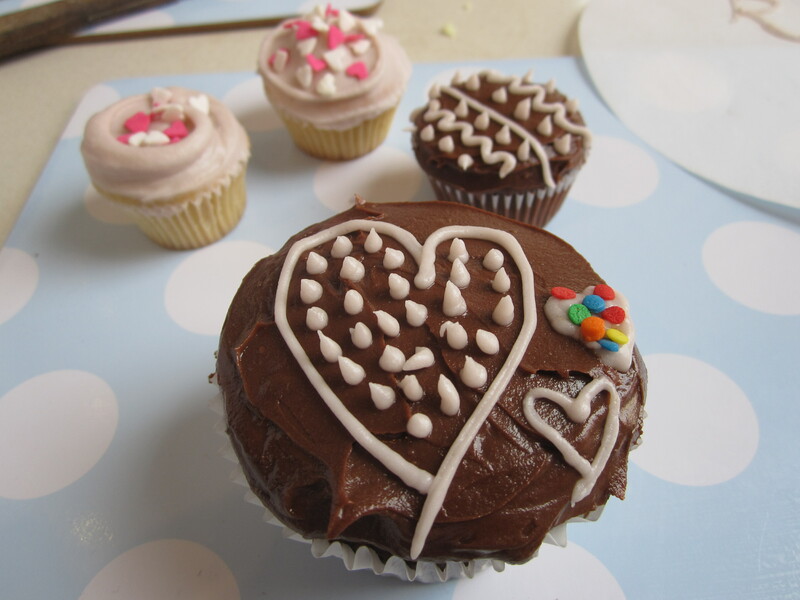 Oddly easier to do the swirl on the smaller cupcakes, even through my examples aren’t proof of this! 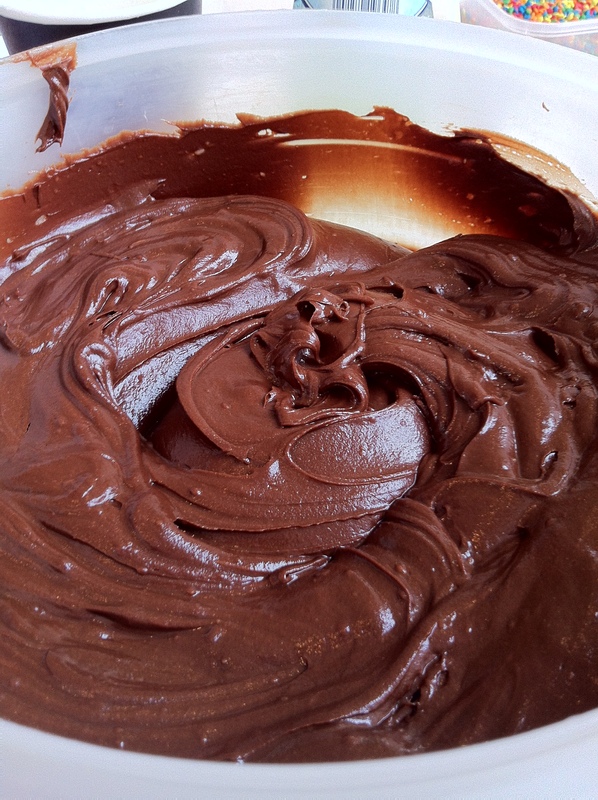 We next went on to frosting chocolate cupcakes with a rich ganache frosting. This smelt amazing, and very tempting to scuttle off to a corner and face plant into the whole bowl. 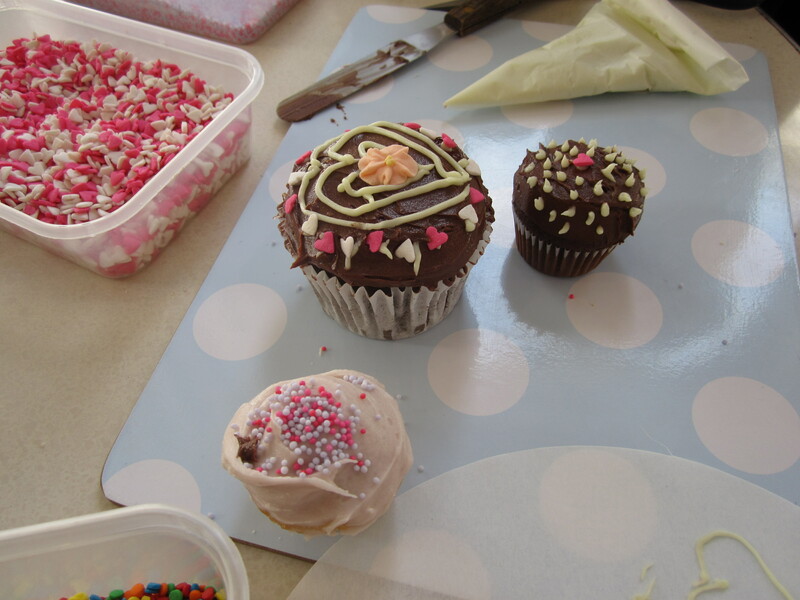 We piped a design on top of the chocolate cupcakes using, hand made piping bags and different colour buttercreams. Some designs worked better than others, I like the combination of dots and lines, there was even a Henry the Cat in frosting too. Some more of our artwork in sugar form. We had a great laugh and left with a goodie bag with the recipes and a voucher for a free cup and four of our beautifully crafted cupcakes. 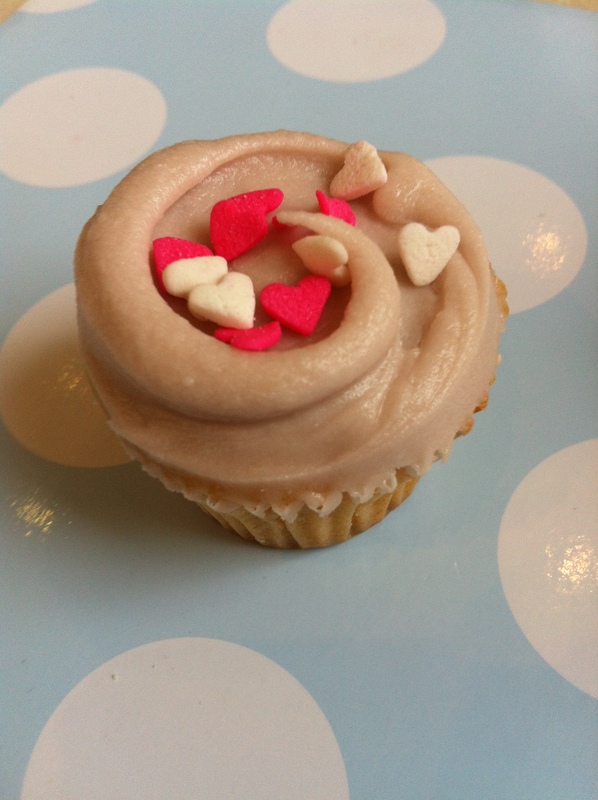 We just now need to practice of a couple of hundred cupcakes each to day and then we’ll be making the beautiful swirled cupcakes too. After all the sugar, we needed lunch. Just around the corner was one of my favourite restaurants that I had to share with my cousins. I last went there for a catch up with my uni friend, where we drank a lot of gin. Of course, it was Mishkins! I love this place and wish there was one in Bristol to get my salt beef fix. 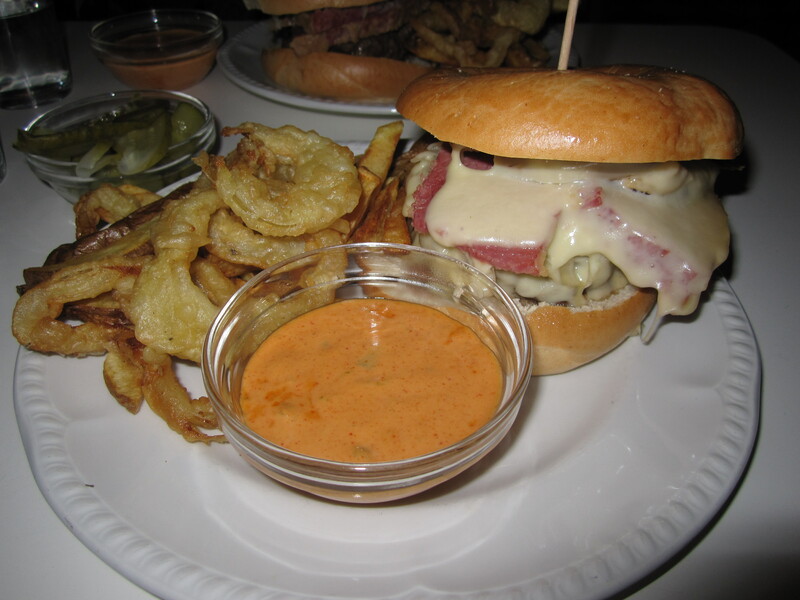 Me and two of my cousins went for the special, a Reuben Burger. Say What?!? A soft chewy bagel, topped with a tender burger, crisp sauerkraut, thick juicy slices of salt beef and then a delicious amount of melted Swiss cheese. Served with a bowl of Russian dressing to dunk the crispy onion rings and East-end Chips (chips with skin on) in. I also went for a side of pickles too as I’m that kind of girl. 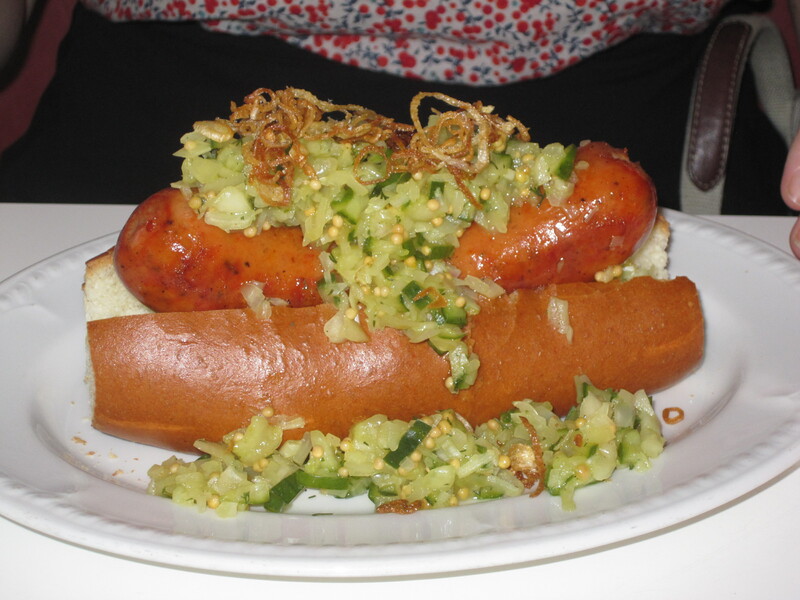 Sonia went for the special Big Apple Dog, a crispy meaty hot dog smothered in dill pickle and crispy shallots and jalapeno chillies. Damn!! It’s fair to say we were well and truly stuffed after our lunch and I may have had a nana nap of the coach back to Bristol while clinging on to my cupcakes.